Tim Meng is the Managing Partner and head of the Golden Gate Lawyers' Legal Department. He is recognized as one of the best commercial litigators in China. 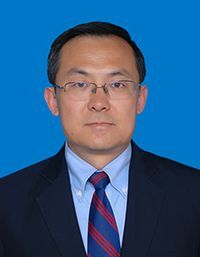 He specializes in representing foreign interests in Chinese courts at all levels and before the China International Economic and Trade Arbitration Commission ("CIETAC"). In 2007 alone he was involved in a dozen CIETAC procedures and has become on of the most recognized lawyers presenting cases before CIETAC. In total, Mr. Meng has presented over 30 cases before CIETAC, in the process becoming an expert in CIETAC Rules and the United Nations Convention on Contracts for the International Sale of Goods. Mr. Meng has represented clients in a number of landmark trials in China and international arbitrations in Europe. He is experienced in dealing with cases combining high monetary value and complex subject matters.. In the past few years he has successfully enforced a number of foreign arbitral awards in china by such diverse institutes as the AAA, ICC and the London Metal Exchange. Mr. Meng has links to numerous legal associations around the world including law societies of the USA, Germany, France, England and Wales, Brazil, Malaysia and South Africa. He is the author of articles on class action and foreign arbitral award enforcement in China. He is a renowned guest speaker and conference presenter. Representing RITZ in their renowned trademark infringement case against RITS. Other notable representations include ADC, Aramark, Babcock, IMG, Krones, Nokia and Yamaha.